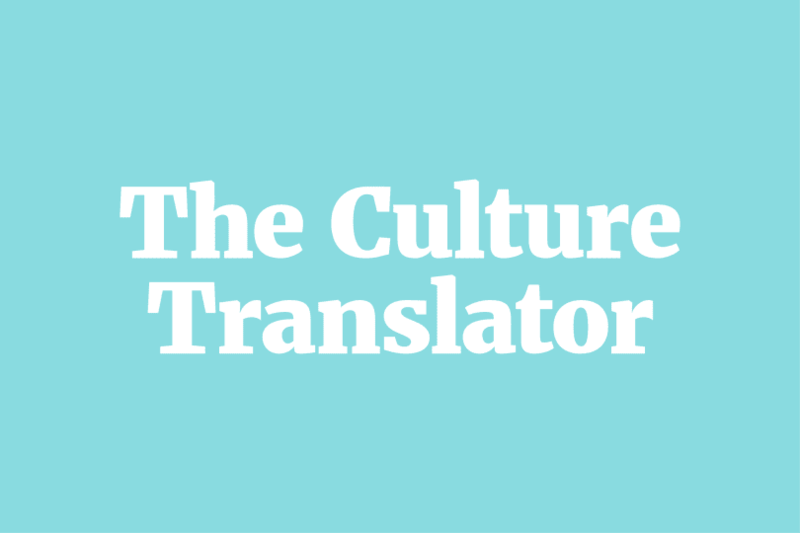 Enjoy this free Summer preview of The Culture Translator Premium, which takes you on a deeper dive into your teen’s world each week. Why it’s surprising: The app was actually conceived of and built by 5 high school girls who wanted to have “a widespread positive influence around the world, that would make a serious impact on people’s lives.” So they built Trill, which doesn’t even require your email address to sign up, which assigns usernames based on a color you choose, and which prioritizes users’ safety and anonymity, especially for users in countries with censorship or taboo topics. TBD on whether it will actually stay a positive community (remember Sarahah or Secret? ), but we think it’s awesome that, rather than complaining about or ignoring the wrongs they saw in the world, they did something about it. It’s a great story to encourage teens to embrace this time of their lives as more than simply a preparatory or waiting phase. What it is: Actor Chris Pratt was given the “Generation Award” at the MTV Movie & TV Awards, and he took the opportunity to offer advice to the next generation in his humorous acceptance speech. Why it’s worth talking about: After thanking people, he outlines 9 rules to live by, most of which reference God, one’s soul, prayer, being nice to others, and grace. And while some Christians have criticized his words, others have praised his willingness to offer such clear, unapologetic wisdom for a generation that’s usually only offered shallow frivolity from celebrities. We seasoned Christians may be quick to pick it apart, but it’s worth asking teens how it strikes them. Do they think he was right to use his global platform in such a way? Or did he hurt the Gospel through his words? What do their non-Christian friends think of it? What it is:Instagram’s answer to YouTube. The standalone app features long-form (up to 1 hour) vertical videos that automatically play upon opening (much like watching cable TV) and is also accessible through a new button in the main IG app. Why it’s strategic: YouTubers are looking for alternatives to Google’s platform because of their constantly changing rules, compensation plans, and advertising guidelines, so it’s interesting that many YouTube stars were at the launch event (despite no compensation plan from IG yet). But anyone can create and upload videos, and since the platform is so new, it may encourage teens to try to “make it big” through the platform. Finally, it’s Instagram’s attempt to become the default destination for teens looking for videos, increasing their time spent on either of their apps and thereby increasing IG’s ad revenue. And since IG recently hit 1 billion monthly active users, it will be interesting to see if and how this changes the social media landscape. What’s most fascinating about these mindsets is that Dweck’s research shows that they have a tremendous influence over one’s ability to learn, even at very young ages. Those with a Fixed Mindset will view failures as bad, be highly self-critical, and see effort as pointless, whereas those with a Growth Mindset will embrace challenges, be inspired by others’ success, and believe in possibilities. And while younger kids may naturally have a Growth Mindset, it can be squelched very easily based on how the adults in their lives mentor and teach them. So when it comes to parenting, teaching, pastoring, or mentoring Gen Z, sometimes the most important thing you can do is pay attention to your mindset because our underlying assumptions make the most difference in how we view, talk to, discipline, encourage, disciple, and relate with the next generation. Mindset: The New Psychology of Success by Carol Dweck (book). Mindset: Fixed vs. Growth (2-min. video). Growth Mindset Introduction (8-min. video). How to praise kids in a way that reinforces Growth Mindset (5-min. video). How to tell if you have a Fixed or Growth Mindset (infographic). A broader look at the world that teens inhabit. Skim our summary or click the links to read more. Engage your teens in conversation about their world. –Marilyn McEntyre, Caring for Words in a Culture of Lies. –Thomas Merton, Seeds of Contemplation. 3. Opening this weekend in the U.S., Jurassic World: Fallen Kingdom appears to be a can’t-miss summer blockbuster. The final trailer hints at global forces hoping to genetically alter and use these ancient creatures as weapons. See if the film delivers on its desire to transcend the shallow nature of most big-budget film franchises by providing a philosophical take on species protection. 4. On the exact opposite end of the spectrum from Jurassic World is the indie film First Reformed, starring Ethan Hawke and Amanda Seyfried. This gritty film asks deep questions about environmental change and creation care while simultaneously following the spiritual journey of a despairing minister struggling through his own crisis of faith. It’s a real look at the tension between hope and despair and is honest about the slow, sometimes unseen work of God to redeem His good creation. The film asks great questions like, “Is the earth not God’s creation? Is environmentalism, and political action to that end, therefore not the provenance of the church?” Ask your teens if they’ve ever thought through these pressing questions. 5. “What does a TV network for young people do when they are, quite simply, not watching as much TV?” Start streaming. MTV is launching MTV Studios to create original shows for streaming services like Netflix, Hulu, and Amazon Prime. For the time being, look for MTV classic shows, like Real World, to get a reboot. 6. Marvel’s Luke Cage returns to Netflix today. The action-packed, often violent superhero show doesn’t shy away from discussing the “relationship between masculinity, power, and race.” If pop culture has created superficial and unattainable beauty standards for women, it has also created a false narrative around masculinity. What does it mean to be male? What are the unique challenges boys face as they grow into adulthood? 7. The World Cup kicked off last week to some incredible games, including Iceland’s surprising success. Much like the Olympics used to be, soccer is world politics played out on the pitch. In soccer, “the national uniform has become the clearest symbol of collective identity.” But for most Americans who trace their heritage to another country, the World Cup is a unique opportunity to embrace their complex identities. So, at a moment when toxic nationalism is on the rise, remember that many Americans are torn between two homes—where they live now and their ancestral lands. It’s actually a great reminder of the tension Christians should feel as citizens in the Kingdom of heaven while sojourning in earthly empires. 8. The NBA draft took place last night, with Arizona’s Deandre Ayton going first to the Phoenix Suns. Here are the biggest winners and losers from last night’s draft. 9. Beyonce and Jay-Z dropped a symbolic video as part of their “Everything is Love” album. The duo took over the Louvre in Paris to celebrate “black bodies in this historically white space.” They place themselves in front of the Mona Lisa as not only living art, but “legendary equals” to da Vinci’s masterpiece. But are they? Are the Carters artists or mere entertainers, and what is the defining difference between the two? 10. Demi Lovato’s newest single “Sober” comes clean about her recent relapse after celebrating six years of sobriety. Teens can abuse drugs or alcohol without becoming addicted, but addiction always starts with abuse. And remember, addiction doesn’t happen overnight; it’s a gradual deterioration of attitudes, habits, and health that may go unnoticed at first. Here are some signs to look for if you believe your teen is dealing with substance abuse or addiction. 11. Throw shade: to publicly criticize someone. 12. Barbie Vlogs is a YouTube Channel featuring a cartoon (and very white) Barbie who offers thoughts on all sorts of topics for her younger viewers. The most recent episode is only 2-minutes long and discusses girls’ tendency to say sorry and how it’s almost a reflex. It’s surprisingly compelling (though it does end with an ad for the newest Barbie product!). It could be a great way to use technology to initiate deeper conversations with your younger daughters. 13. Dozens of Christian leaders and organizations including Franklin Graham, Russell Moore, the Southern Baptist Convention, and the Conference of Catholic Bishops called the United States’ “zero tolerance policy” toward immigrants “cruel” and “traumatic.” Currently, about 11,000 children are in shelters, and nearly 2,000 children were removed from the care of their parents and taken into federal custody. As Christians who also just happen to be Americans, how should we respond? The biblical instruction found in Leviticus, Exodus, and Deuteronomy can help guide this conversation. Read these passages with your children, as well as the story of Jesus’ flight into Egypt and ask them: What if this was our family? What if we were seeking asylum or a fresh start in a strange land and our family was torn apart, how would we want a foreign nation to deal with us? Who wrote this and who was this specifically written too? What was their historical context? What was the original writer’s intent? How would the original listener’s have interpreted this text? How does this passage fit into the larger metanarrative of Scripture? What type of book is this (wisdom, history, apocalyptic) and how does that change my interpretive field? Filter everything in Scripture through the lens of Jesus. He is the ultimate interpretive framework. In fact, the Bible doesn’t simply say “Look at me!”; it says, “Look through me in order to see Jesus.” The purpose and center of Scripture is Jesus, the very word of God made flesh. For more guidance on helping your teens read the Bible well, check out our Parents Guide to the Bible!